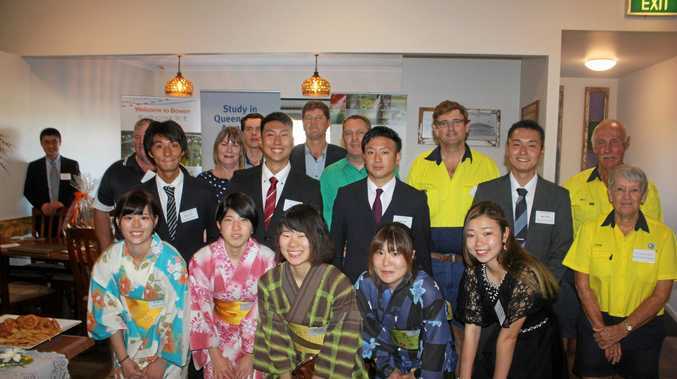 THE Japanese group who facilitated nine international students to undergo a 12-month agriculture training program in Bowen is confident they are in the best place to learn. Japan Agricultural Exchange Council secretary-general Takashi Yoshikawa said Australian farming practices are very different to the Japanese who grow most of their produce in greenhouses instead of outdoors. He said by learning under Bowen growers, students will learn the fundamentals of large scale outdoor farm management. "Tomatoes and peppers and cucumbers - they're all grown outside, but in Japan they are grown inside greenhouses in plastic," he said. "Our farm land is limited so we need to control the winter harvest and ship when the price is highest, so that's why we need greenhouses." Mr Yoshikawa said Bowen farmers employ lots of labourers during the winter months and were used to managing people. He said these were skills the students would learn and use in their homeland. "The basics of management and how to handle the labourers, is very important, and this is a great place to learn," he said. "Whatever they learn here they'll bring the ideas and techniques back to Japan to use." The program will mark the first time the Japan Agricultural Exchange Council has engaged with Australia, having previously sent students to America and Europe. He said even though their English is a work in progress, their motivation and spirit is "very high." Bowen Gumlu Growers Association president Carl Walker said Bowen farmers were leaders and not followers and are at the forefront of the latest technology. He said Bowen and Gumlu were some of the first growers back in the 1980s to experiment with trickle irrigation to save water. He believes the two cultures can a lot from each other. "The Japanese are traditionally extremely good workers and reliable which are things we love in Bowen, so I think it will be the start of a beautiful relationship," he said.